A Rotary project is making improvements to the City of Antigo's sledding hill. The famed Antigo “Flats” don’t offer much in the way of sledding opportunities. A few years back, the city of Antigo changed that by installing a sledding hill just off of First Avenue, in the old Chicago and Northwestern Railroad corridor. It is great in winter, when it is a snow-covered mini-mountain of awe for youngsters, but an unabashed eyesore the other months of the year. 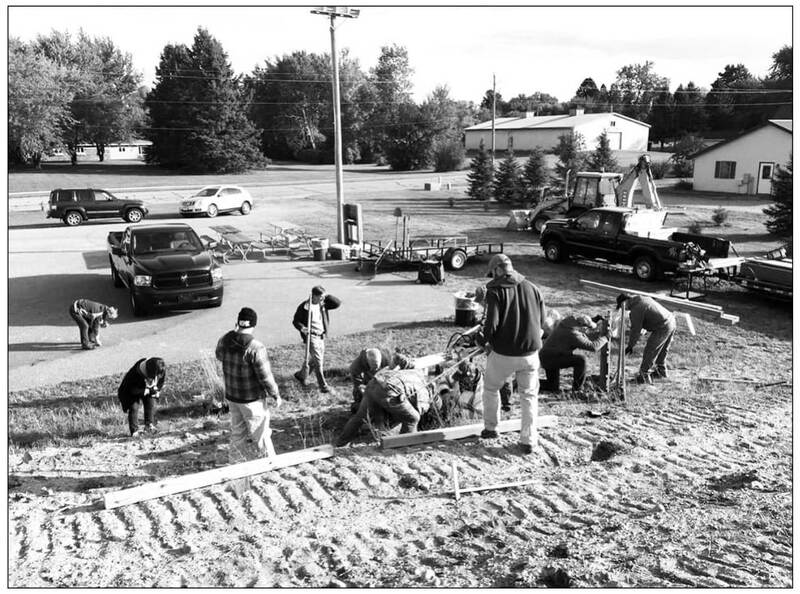 Now, the Antigo Rotary Club, with help from Rotary District 6220 and the city’s park and recreation department, is changing that. On Monday, Rotarians presented Park and Recreation Director Sarah Repp with two checks totaling $5,000, with equal shares from the local club and a district matching grant. for the sled hill project as work gets underway this week. And club members also provided some sweat equity, spending much of the day picking rocks, adding plants, grading the hill, punching post holes and installing railings. According to Brian Prunty, who wrote the grant for the Rotary Club and who guides many of its community projects, the group selected the sled hill for the project because it is not as safe as it should be and is not a very attractive outside of the winter months. “It looks like an overgrown pile of weeds in the summer,” he said in his grant application. The newly revamped hill is designed to address safety concerns by discouraging sledding down the south and north side of the hill and create more ideal sledding slopes that are designed for moderate and fast speeds while preventing sleds from crossing into personal property. When completed there will be railings on both the east and west sides, which will run along dedicated pathways to reach the top of the hill. There will also be staggered fencing, hardscape landscaping and plantings on the north side of the hill, which will add a visually pleasing landscape as well as prevent sledding off the north slope. Rotary Club and its Rotary district 6220. All work is slated to be done before Oct. 31, well in advance of the sledding season. 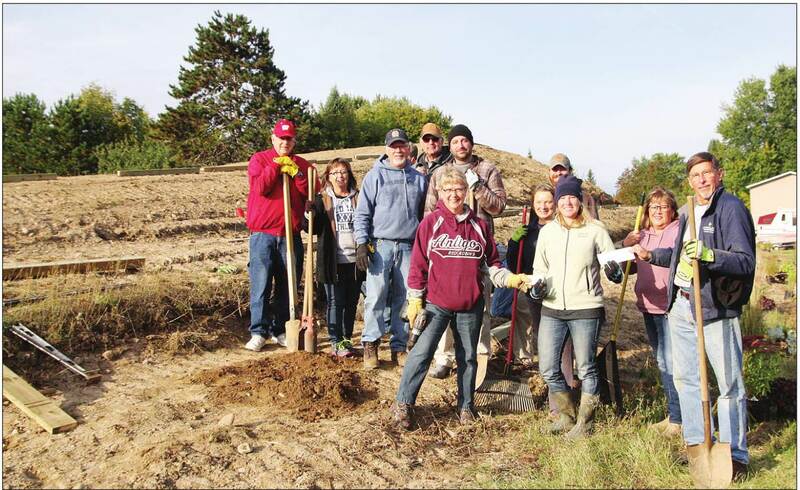 The hill is one of many community projects Rotary has done in recent years to improve outdoor experiences in Antigo and the surrounding area. The club has also funded and constructed several bridges along the city’s walking trails north of Second Avenue, with more planned in the future. And next week members will devote a day to an Ice Age Trail project to reroute a section of the Old Railroad Segment near Jack Lake.